Since everyone loved the title of the first post, I continue to use it here, even though this one has nothing to do with pants! I am writing about upper wear and jackets in this post, maybe I should have called it ‘Bare Your Chest’ or something :p Yes, I am being silly, so let’s move on. We’ve already covered this fact and cannot insist more, men need to start getting vain. No, do not compete with us, but honestly we need some eye candy too. 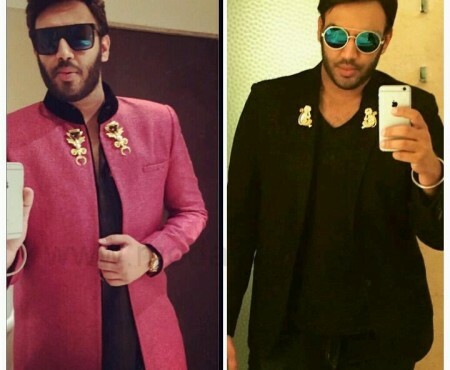 We are bored of seeing you in the same old jeans and kurta and dinner jackets, so here are a few ideas on investment pieces that can be re-used and re-styled through the wedding and festive season. 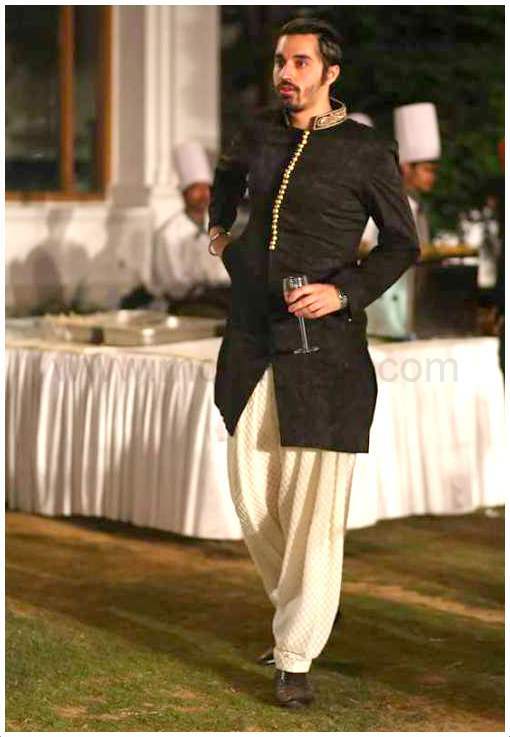 Bandhgala : A regal pick when you wear a full sleeves Bandhgala with breeches, complete with a pocket scarf. 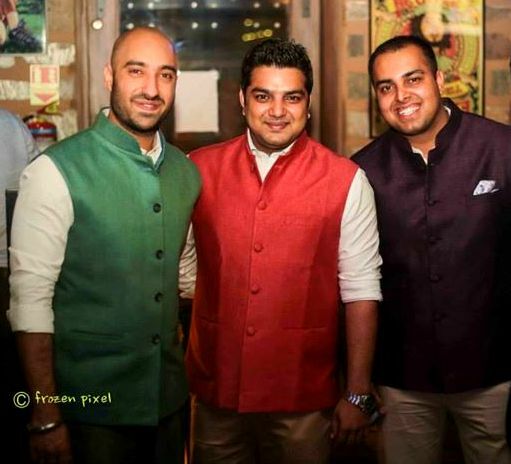 Nehru Jacket : Pair a silk candy colored or printed kurta with a solid sleeveless one. 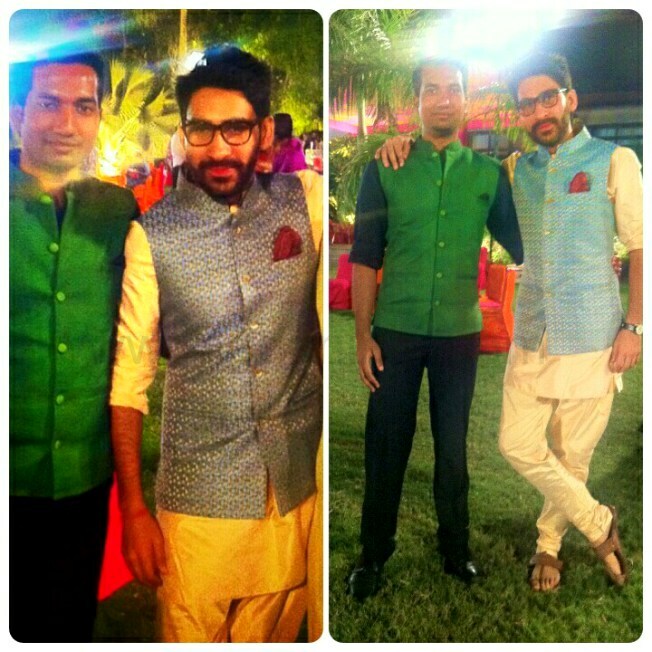 If you are the adventerous one, go for brocade or velvet nehru jacket. 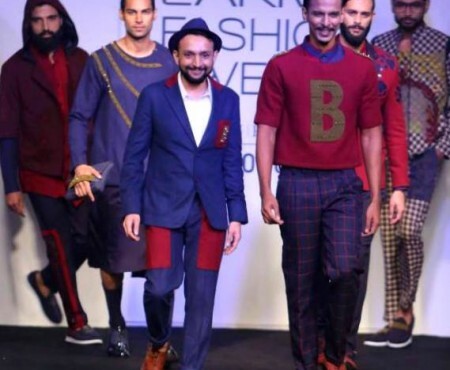 Vest or Waist coat: We don’t mean the waist coat from your tux, today designers have a fresh take on this piece giving you the option of prints, color blocking and eye catching bright colors! 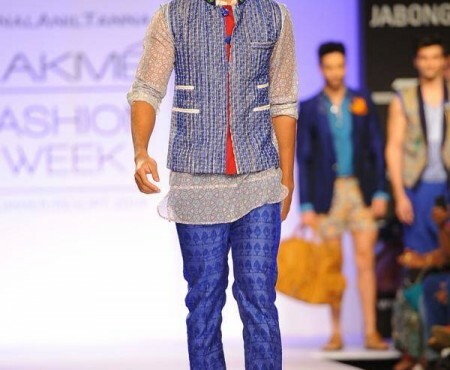 Add interest to the jeans and kurta with a printed vest or skip the jeans for a dhoti! This one is sure to make you stand out from the crowd. 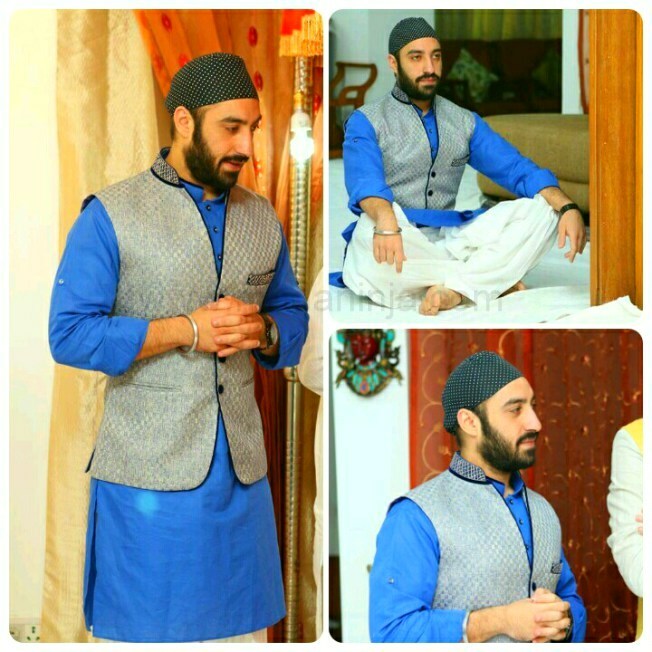 Kurtas: Just like baby pink was the color of the season for men’s dress shirts, candy colored kurtas, printed & Brocade kurtas are adding even more cheer to festive & wedding collections. While retail stores and e-commerce sites have much to offer, may we recommend, bespoke. 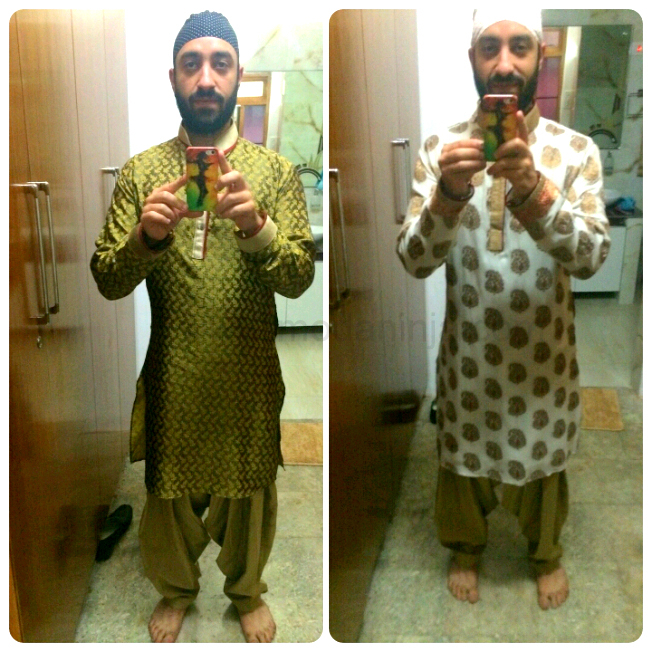 You could experiment with a brocade or candy hued kurta over a pathani salwar with festive metallic buttons. I hope you are enjoying this series as much as we are! We would love to hear from you! Drop us a comment and show some love!